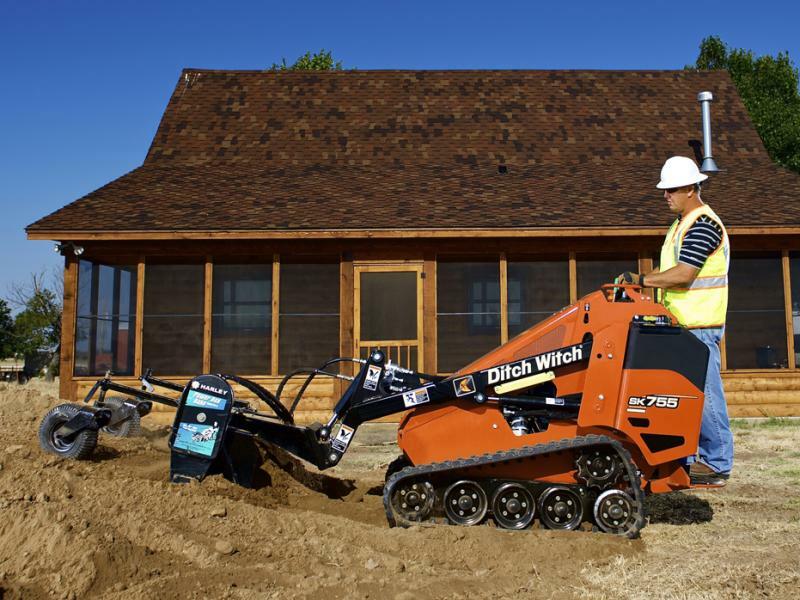 The Ditch Witch® SK750 and SK755 are built to outperform on any jobsite. 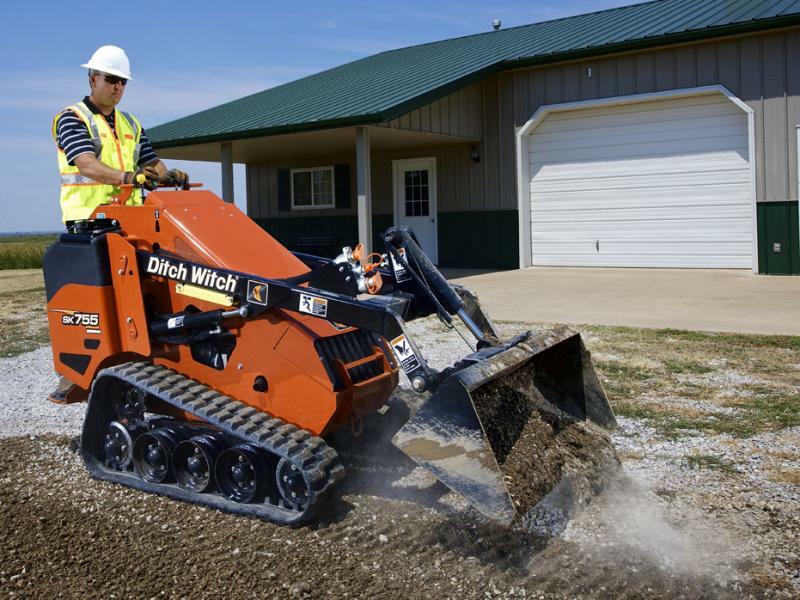 Both models feature a high-drive track system along with an enhanced operator station, delivering superior performance through increased ground clearance, more lift capacity, faster ground speed, longer track life, and more operator comfort. 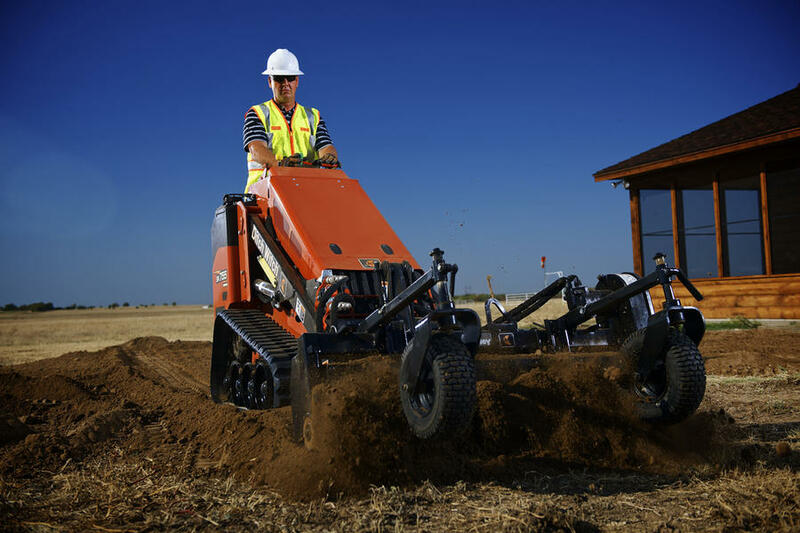 And by sending more horsepower to the attachment than the competition, these SK mini skid steers will help make you more productive, job after job. Not White. Not Red. Only Orange. 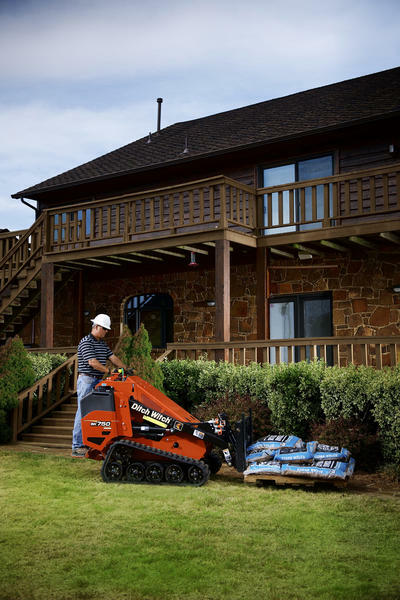 Efficient, low-maintenance Kubota diesel engines provide outstanding power for all machine functions—24.8 hp for the SK750 and 32.8 hp for the SK755. Belt-free design eliminates worries about slipping, squeaking and breaking. 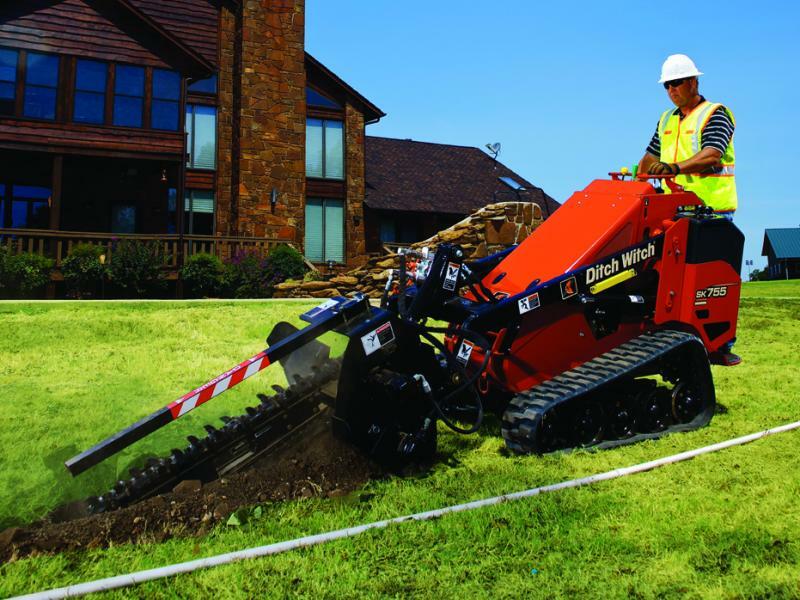 Industry-leading power to the attachment provides unbeatable productivity; accepts more than 70 attachments for a wide range of utility, landscaping, plumbing, and other underground construction tasks. 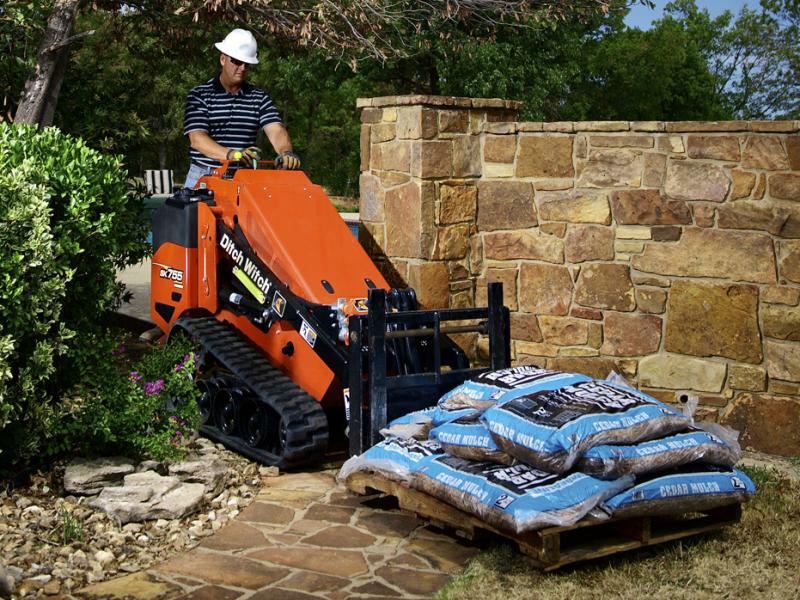 800-lb (362.9-kg) rated operating capacity and an 81-inch hinge-pin height enables more productive loading. 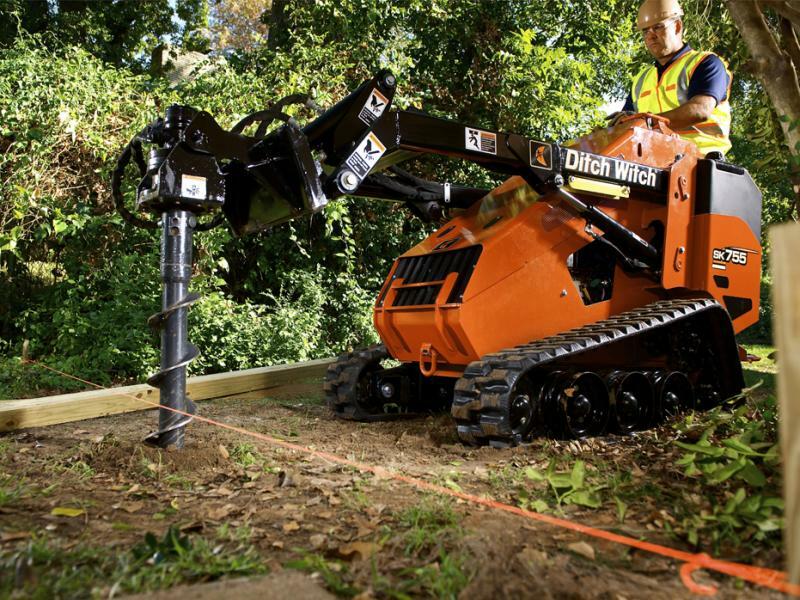 Low-maintenance track tensioning system features a grease cylinder for easy adjustment and track removal, delivering longer life and minimizing downtime. Two-way auxiliary control foot pedal enables you to maintain hydraulic flow to the attachment with the pedal, freeing up your hands to control depth and ground speed. 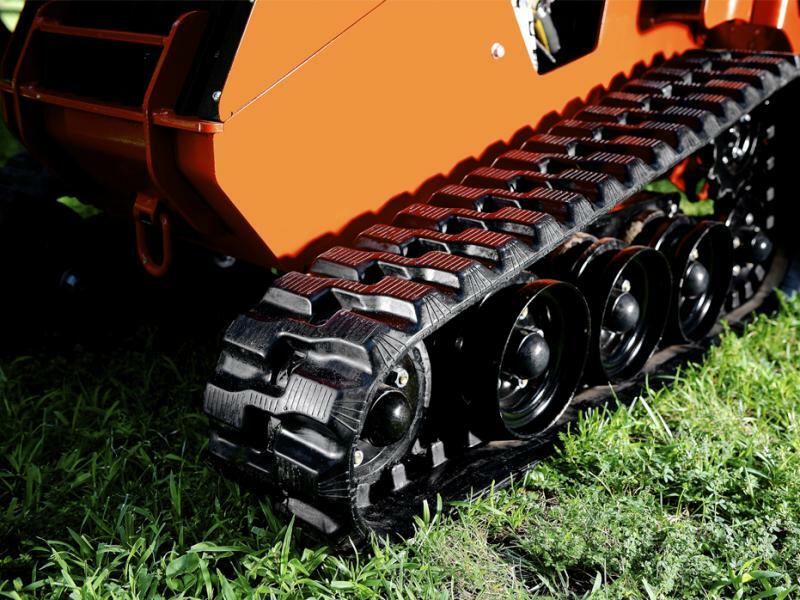 Innovative high-drive track system features bolt-on sprockets and wide track rollers for greater stability, longer track life and easy maintenance. 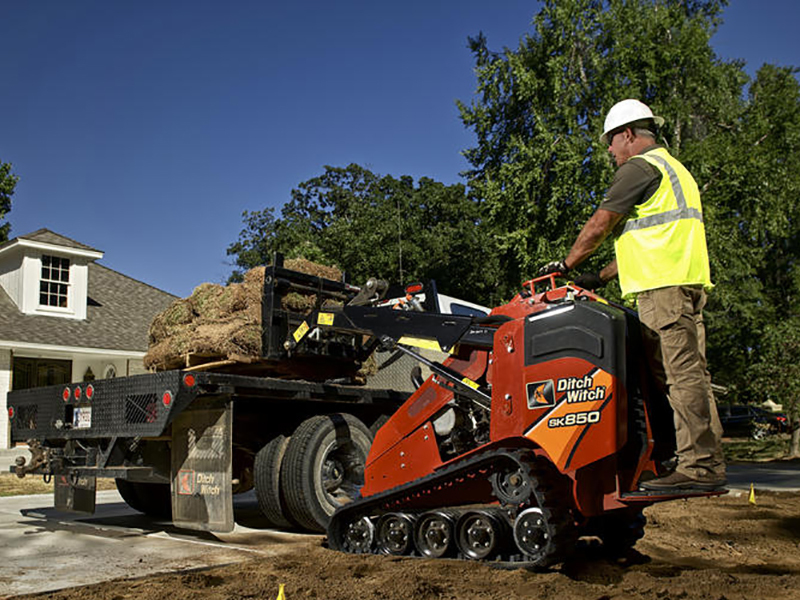 Ergonomic operator’s station comes standard with dual lever ground drive controls or the option of a single lever joystick. 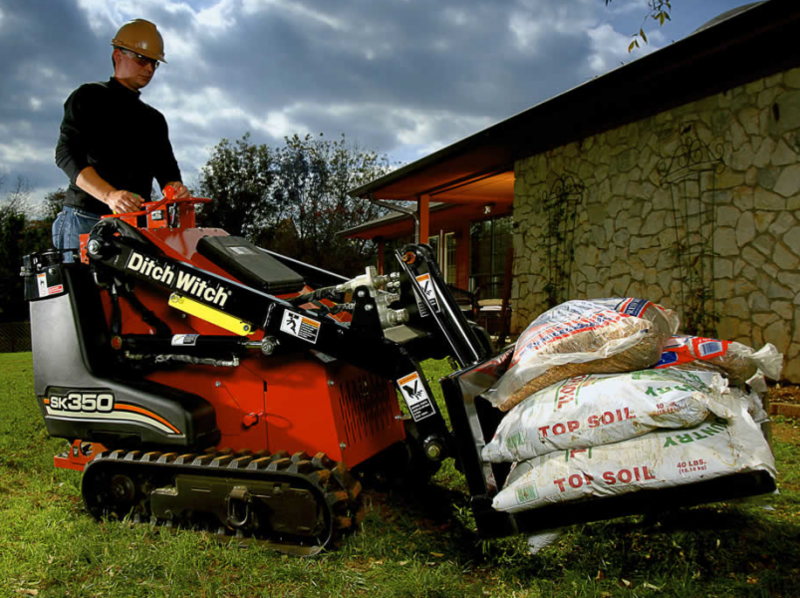 Overall length of loader, no attach. **Exceeding these operating angles will cause engine damage. This DOES NOT imply that the machine is stable to maximum angle of safe engine operation.